Introducing The Original Dreamers, a stylish collection of oversized Round Beach Towels by the fabulous new UK luxury lifestyle brand You, Me and the Dream. 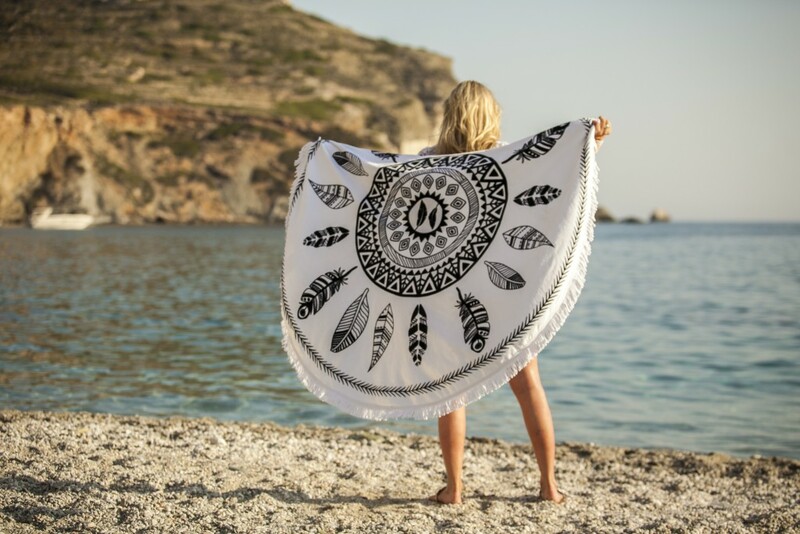 Already hugely popular with celebrities, travel bloggers and fashionistas alike these sumptuous round quality beach towels are the latest must-have holiday essential, we guarantee you’ll love! With a range of beautiful printed designs available in bright and vibrant colours, as well as more subtle yet chic monochrome, The Dreamers are sure to make a bold style statement. 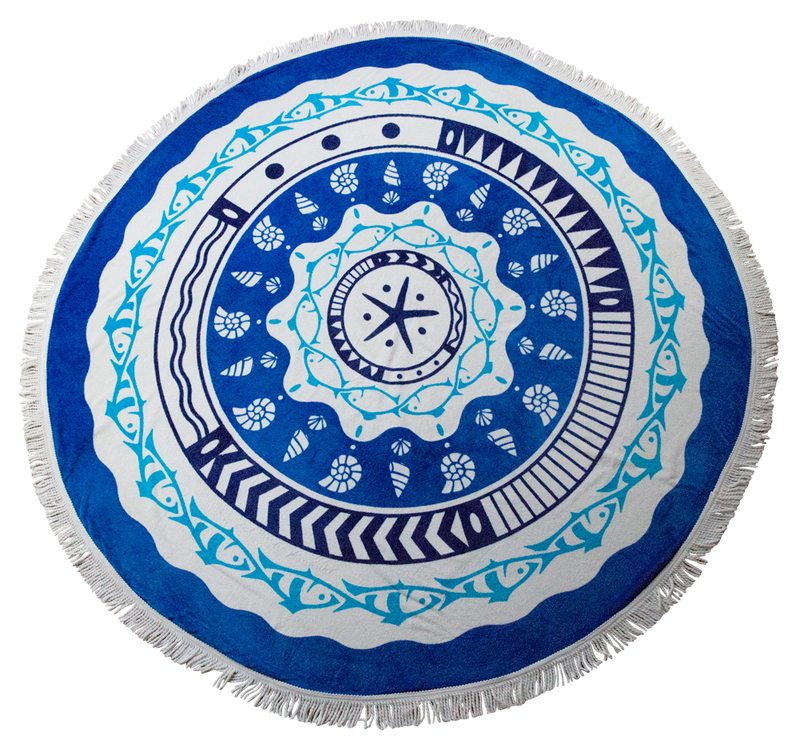 At 150cm in diameter, these trendy tasselled edge beach towels are large enough for all the family to gather on or for one or two people to wrap themselves up in and snuggle! Luxuriously soft to the touch, The Dreamers are made using premium materials, including 100% Cotton Velour making them perfect for lazy days with friends by the beach, hanging out at a festival, enjoying a family picnic in the park, for sun worshippers lounging poolside or for simply relaxing in the garden at home in the sunshine. Highly versatile, The Dreamers can also be used indoors as a yoga mat, play mat or colourful throw. 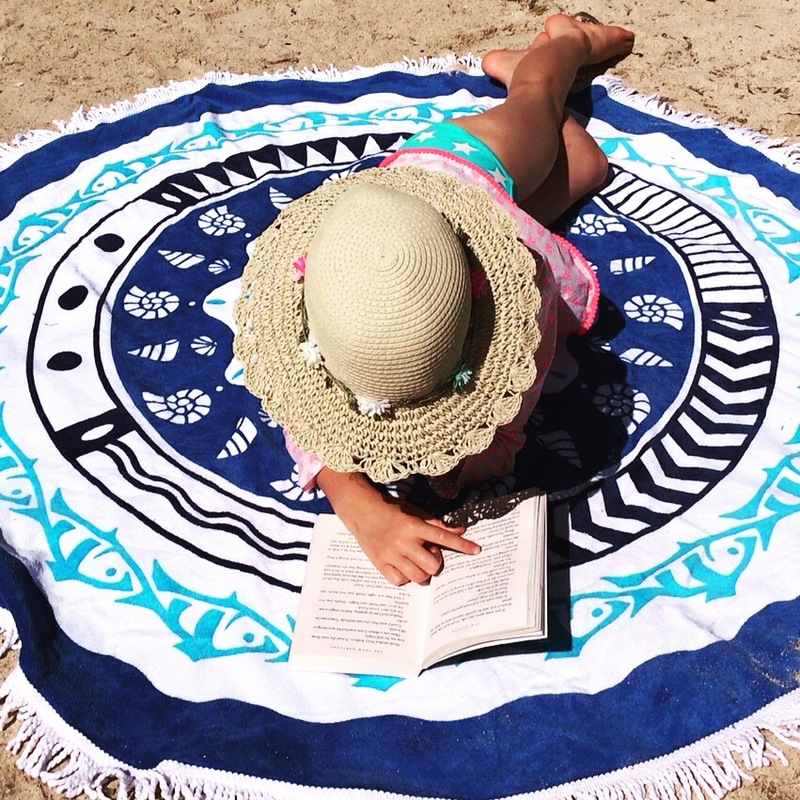 The Dreamer Round Beach Towels come with their very own linen storage bag complete with drawstring top and can simply be rolled up and placed neatly inside, ideal for taking out with you or for packing away to protect it when not in use. 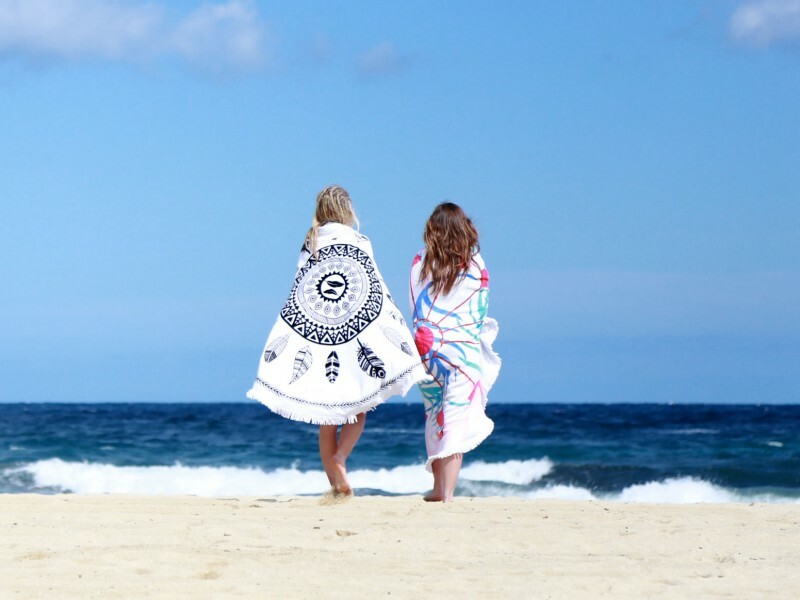 Beautifully packaged You, Me and The Dream’s stunning Dreamer Beach Towels would make an unusual and quirky gift for a friend, loved one or family member who appreciates stylish accessories. Birds of Paradise! 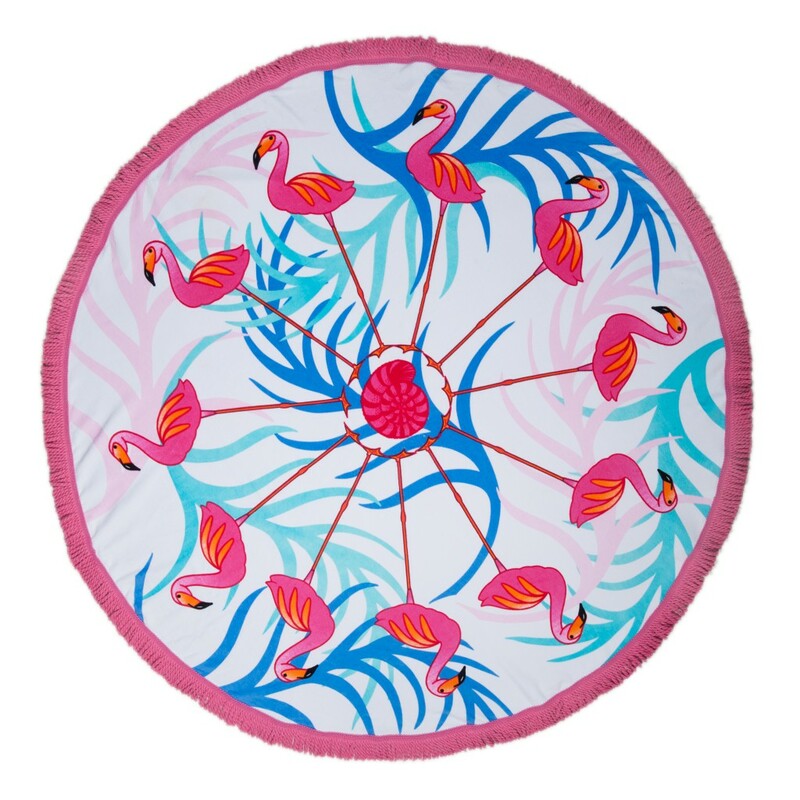 The Paradiso is a nod to this Summer’s Tropical Trend, which is still going strong, featuring the pink flamingo, sure to get many admiring glances. Absolutely perfect for hitting the beach trimmed with pink tassels for a striking contrast, beach chic! 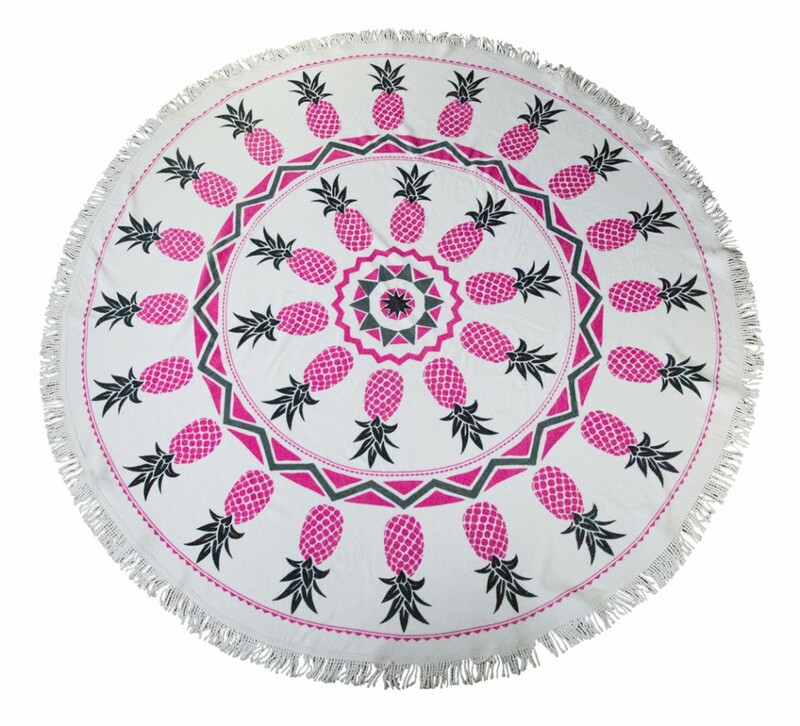 La Pina is colourful, fun and fruity, with its hot pink pineapple print which is bang on trend as Rio fever inspires many fashion accessories. The perfect poolside companion! 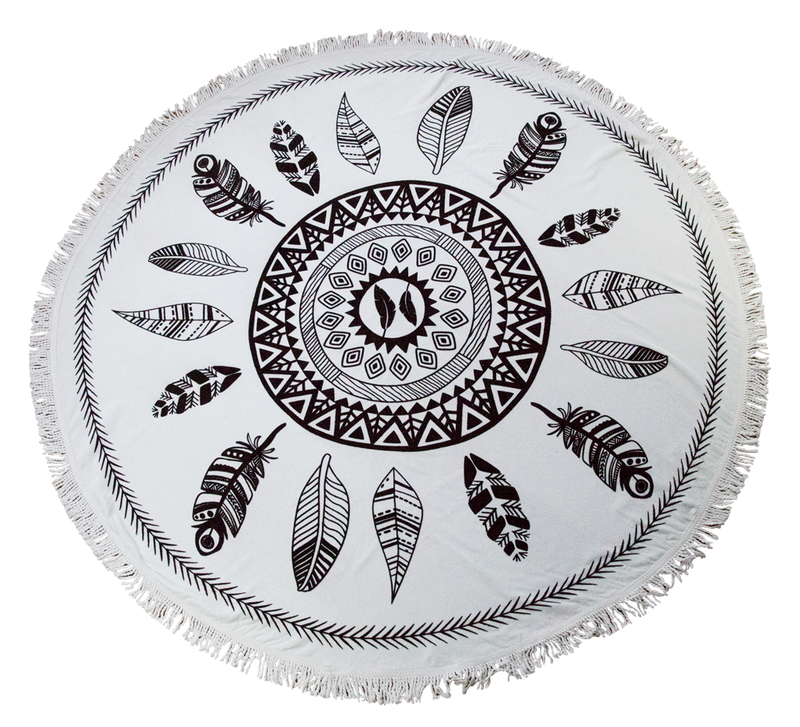 A Native American Dreamcatcher design, The Drifter features black and white feathers and an Aztec style zig-zag pattern, trimmed with a white fringe, its the perfect festival accessory! We love the monochrome coolness and relaxed vibe of The Drifter. The Urchin Round Patterned Beach Towel features a nautical inspired design with fish, seashells and starfish in the vibrant light and dark blues of the ocean with a contrasting white background. So, it won’t be just your bikini that looks sensational on the beach! Love these – they are totally gorgeous!